Antivirus FREE Lite - 2017 by Max Security is proud to bring you the best antivirus protection available! Download the expert cyber security solution that provides the very best free virus detection! Trusted by over 15 Million people, Antivirus FREE Lite - 2017 is the ultimate shield for your devices! 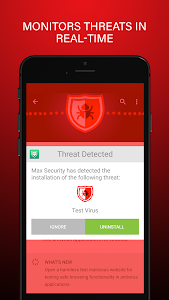 Antivirus FREE Lite - 2017 prevents the spread of viruses and malware that infect your Android devices by detecting them before they spread! 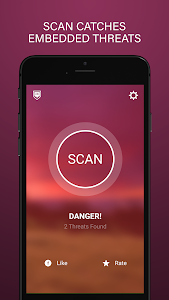 Get the free antivirus download that beats all other security apps with proprietary real time protection scanning! Why does Antivirus FREE Lite - 2017 stand out among the rest? ★There’s nothing else like it - More than just a virus scan, Antivirus FREE Lite - 2017 has the only proprietary real time protection scanning engine that scans both apps and files for viruses, junk(cache) files and malware as you install them! 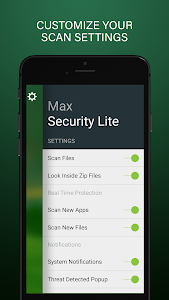 ★It’s the most effective antivirus mobile App - Antivirus FREE Lite - 2017 is one of the only security applications that breaks apart and scans files and looks inside compressed zip files even as they are created or changed on your device's storage. ★Simple and elegant design - Are other antivirus apps too clunky? 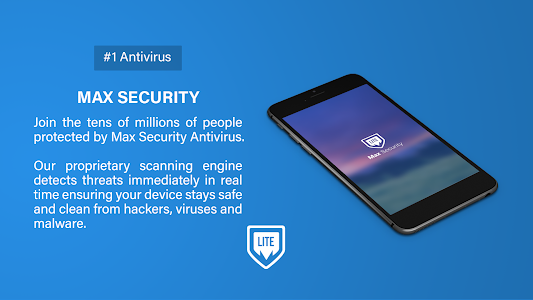 Max Security has put their best efforts forward to ensure that Antivirus FREE Lite - 2017 delivers powerful scanning with a super simple user interface. ★Best security app by far - No need to worry about the apps you download. 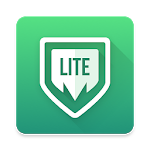 Antivirus FREE Lite - 2017 makes sure your device is free from malware, adware, spyware, unseen vulnerabilities and Trojans! Built for Android by a team of security experts with over 20 years in the security field! Automatically ensure your applications security with our #1 free antivirus. 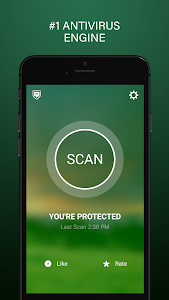 Real time mobile protection scans installed apps, files and zip files in real time ensuring your applications security. Scans the files and zip files on your SD card and internal memory for viruses and malware that can cause havoc to all of your devices. Antivirus FREE Lite - 2017 features an easy to use interface with an elegant, familiar design that makes protecting your device effortless. 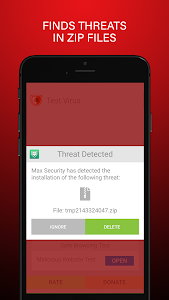 Breaks apart the zip file on your device to look for threats deeply embedded within. Customizable voice notifications let you know immediately when threats are found ensuring your protection 24 hours a day, 7 days a week!. Get the full version of Antivirus FREE 2017 for added features such as Deep Scan and Auto Scan. For even better protection go pro and get all of the features to include ultra fast scanning and no ads. - New Improved Design for 2017! - Faster, better scanning engine! Similar to "Antivirus FREE Lite - 2017"